This book includes: scene-by-scene annotation of both Kill Bill movies; overview of director Quentin Tarantino; profiles of all major actors in Kill Bill 1 & 2; profiles of films which influenced Kill Bill; details of posters, trailers, teasers, early screenplay drafts, different cuts (e.g. the uncensored Japanese cut), early casting, etc. ; critical reviews of the movies from various sources; interview with actor David Carradine ("Bill"); complete film credits; complete bibliography, index of films; and illustrated throughout, including an 8-page colour section. 6. 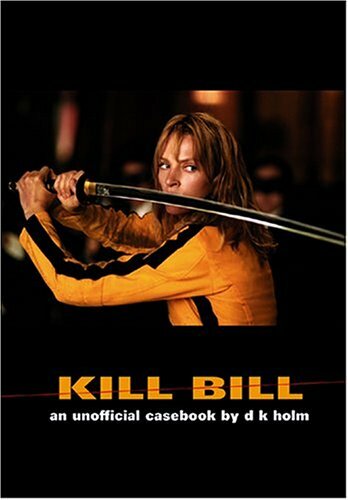 Kill Bill: An Unofficial Casebook Holm, D. K.